Domestic and personal updates about what’s happening in the “real” imbroglio that is my life. After dropping his chain during an attack on the Bales climb, Luxembourg’s Andy Schleck tries desperately to chase Alberto Contador, Denis Menchov and Samuel Sanchez. At the end of the day he would finish 39 seconds behind and lose his yellow jersey by 8 seconds. The reason this was *the* moment of the Tour is that Contador ended up winning the overall Tour by 39 seconds — exactly what he stole from Schleck in Stage 15. Still, Contador is a strong rider who rode well and hard and deserved to win. It was an awesome Tour. I’m looking forward to next year. Was this Schleck’s peak or will he run away with it? Or will someone else emerge to dominate both of this year’s leaders? If you think cycling is not fun and exciting to watch, give the Tour a chance; it just might change your mind. We spent Friday evening and are going again today to Pitchfork here in Chicago. The reviews on the Time Out Blog pretty well capture my impression of what we saw on Friday, including: Modest Mouse, and Robyn, and Broken Social Scene. Missing is the note that the sound for BSS was terrible. There’s a difference between static and feedback, and this was definitely static. Still, great festival on Friday. We’re looking forward some great (if very hot and humid) performances this afternoon, too. If you’re looking for a great beer this summer, check out Ranger IPA from New Belgium. It’s supposedly their answer to the demand for “more hops!” Whatever it is, it’s full of flavor with a nice hoppy bitterness that finishes light and smooth. It’s great cold and perfect for a bit of refreshment after a hot and humid summer day. 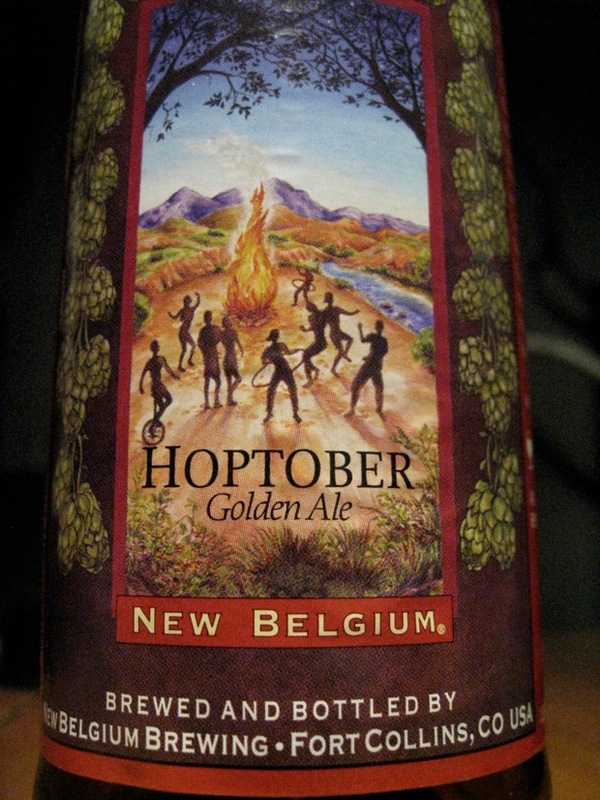 As far as I’m concerned, New Belgium answered the hop call last fall with its seasonal Hoptober Golden Ale, which is absolutely my favorite beer of the moment by a good margin. Alas, it’s not available until the fall; until then, Ranger seems like it will fit the bill just fine. 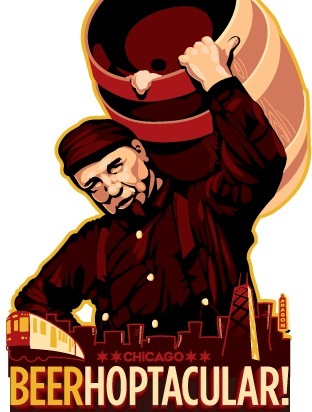 Speaking of New Belgium, if you’re going to be in Chicago on September 12, 2010 and would like a partner for the Urban Assault Ride, leave a comment below or contact me by email. I’m in if you are. Half of babies born in rich world will to 100. That’s going to be hell on social security. New York City’s PS22 Chorus is really surprisingly great. I especially love their version of The Cure’s Pictures of You. I guess Ashton Kutcher does, too, which means I am cool or a tool, and I am not asking you to decide which. Meanwhile, thousands of hyphens perish as English marches on. I never would have thought to put a hyphen in bumblebee anyway, so I’m not going to be a crybaby about it, and neither is my pot belly. And just so you know, information really is beautiful — just look at where all our money goes. So basically, um, we give most of our public money to the military industrial complex and the banking/financial sector. These appear to be incredibly efficient means to transfer public dollars into private hands. OMG I love this country! Speaking of which, whatever you think of President Obama’s Nobel Price, you have to agree with the U.S. State Department that we’re making progress when the world is throwing accolades at our leaders instead of shoes. Also, They Might Be Giants are making music for kids and they performed and talked about it on Science Friday a while back. I did not know the sun was no longer a mass of incandescent gas, but now I do. This information makes me a little sad, but I think I will survive. We had our first real spring-like day yesterday in Chicago with temperatures in the mid-70s. It was beautiful, except apparently not for the ten people who got shot and the one who was stabbed. Apparently, the warm weather makes people violent. Something that is cool: this group of musicians playing “Kids” by MGMT on their iPhones and iPod Touches. The above links are proof that there is bad crazy and there is good crazy in this world. Something about that is reassuring. This city has absolutely the worst roads I have ever driven on. Potholes everywhere, and once they start, they don’t seem to get filled until they’re deep and wide enough to swallow your wheel whole. Oh, the city pretends to fill them, but the “patches” last for about an hour. So it’s great that we’ve got the El for an alternative to driving, right? Except, well, you might get stabbed and no one will even try to help you. Save live trees. Wipe with recycled ones.